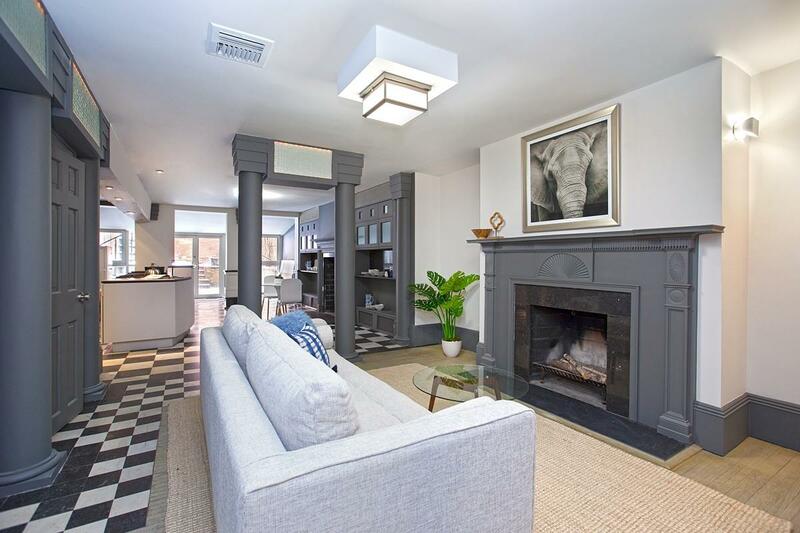 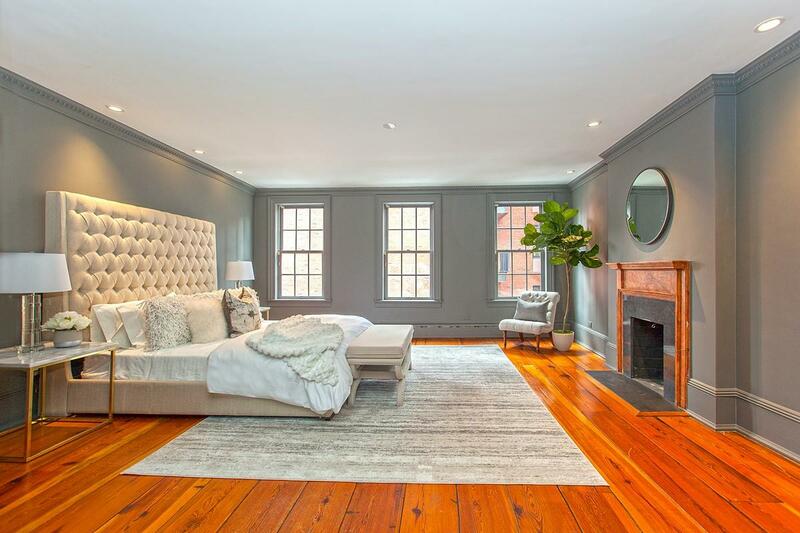 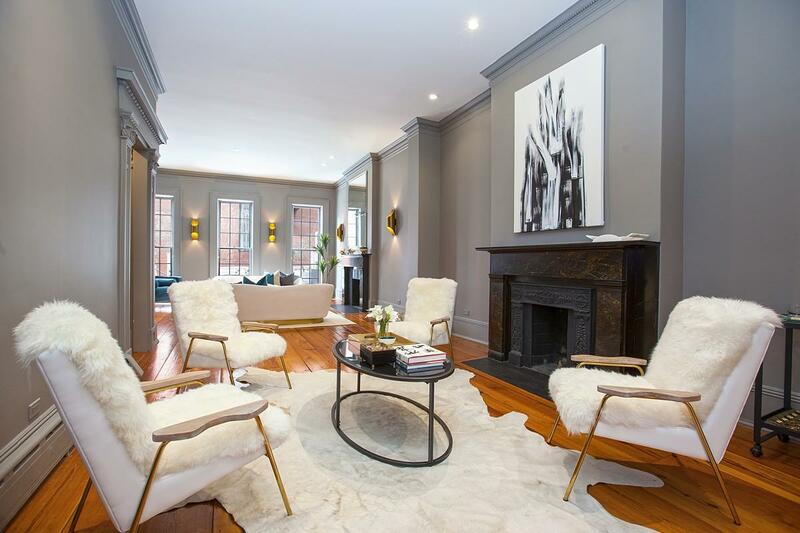 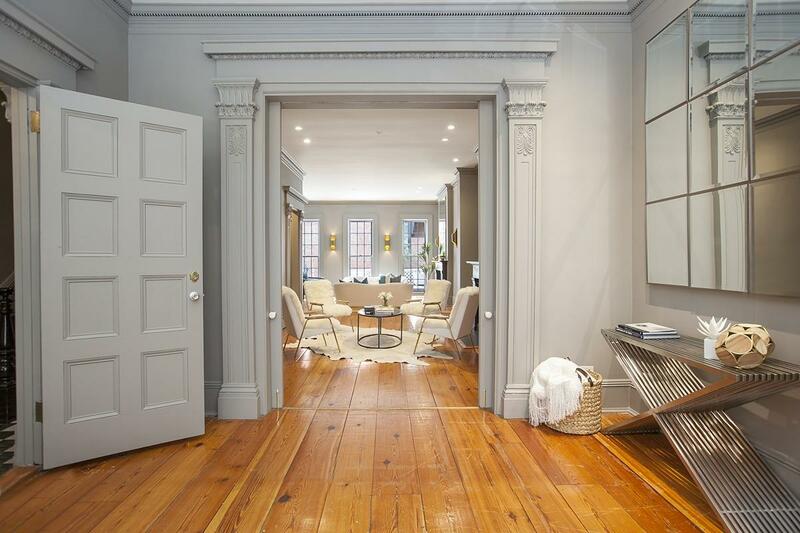 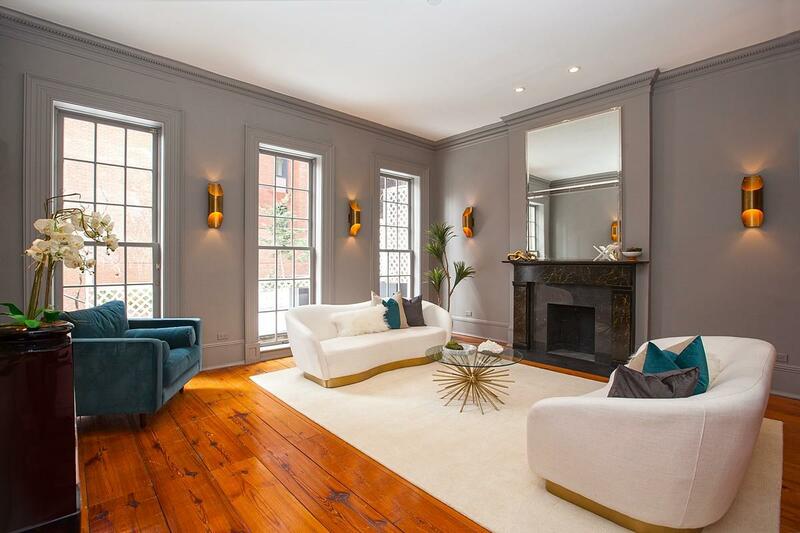 54 Charles Street is a 20' wide Greek Revival Townhouse on one of the finest townhouse blocks in the West Village. 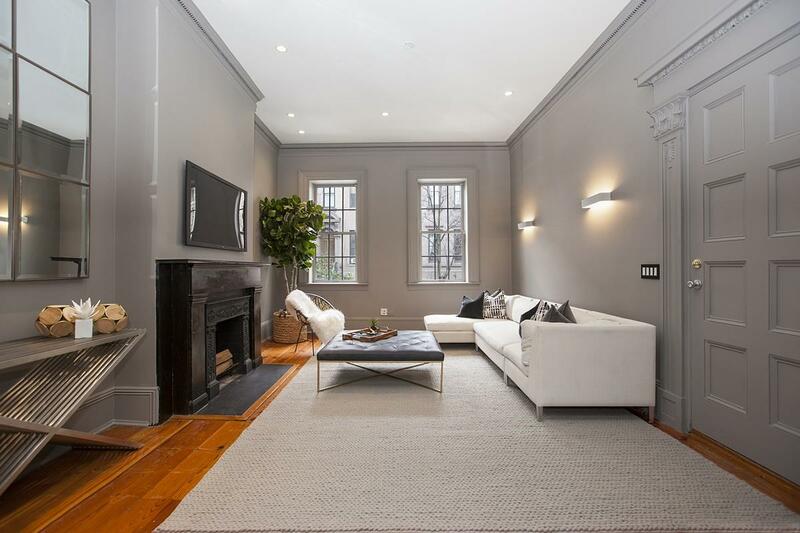 This stately 4 story house is in wonderful condition and ready to enjoy, or, one can expand the house to approximately 7500 sq ft with the complete shovel ready DOB & Landmark approved plans and permits that come with the house. 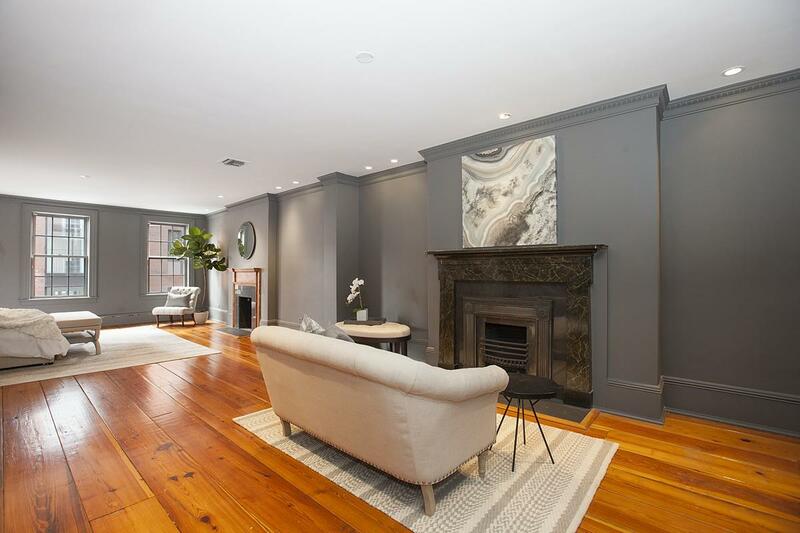 54 Charles St currently has 4 bedrooms, 4 bathrooms and 12 wood-burning fireplaces. 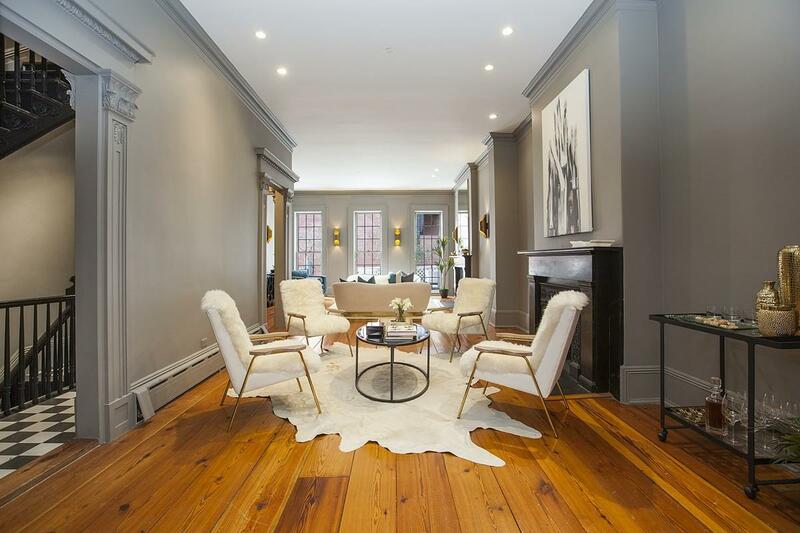 The natural light and soaring ceiling heights throughout the house are exceptional and the house boasts beautifully preserved original details that include 12"wide plank pine floors, stunning hand carved archways & moldings as well as period piece fireplace mantles. 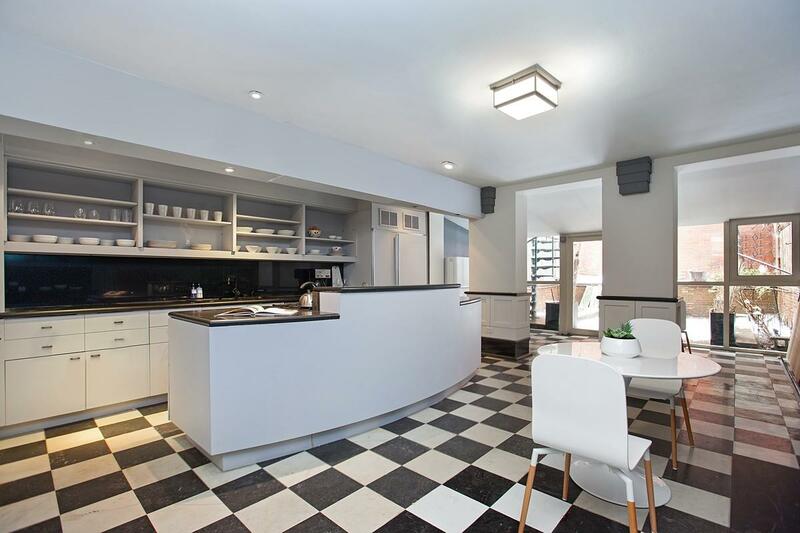 There is a 700 sq ft south facing garden and a 1000 sq ft roof deck with spot-on views of both the Empire State Building to the north and the Freedom Tower to the south. 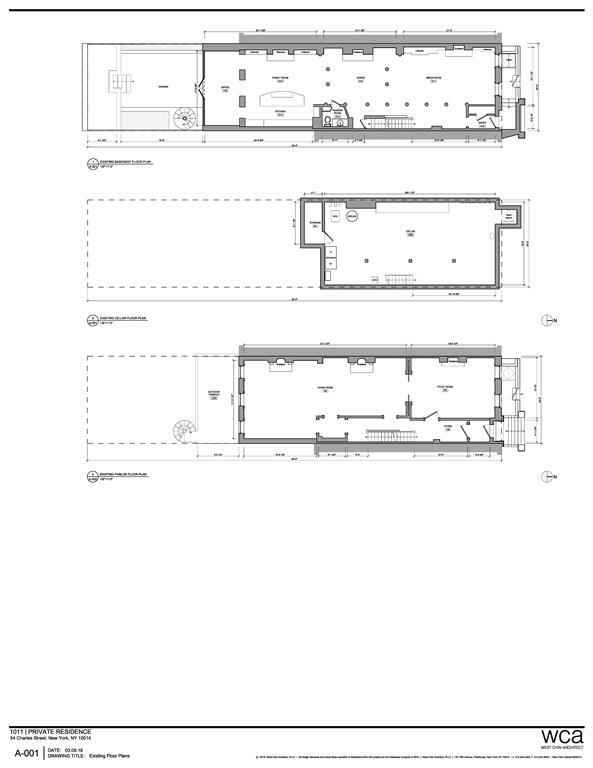 54 Charles is approximately 5,000 sq ft. 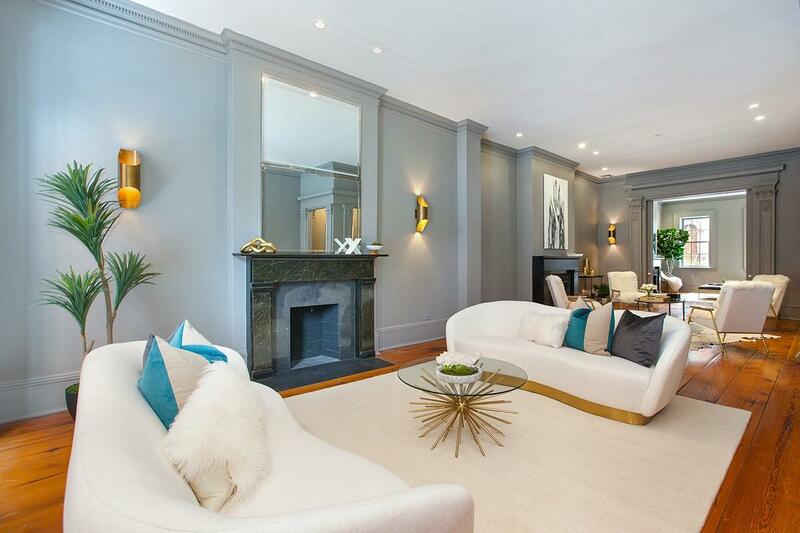 The full potential of this home however can be realized by utilizing the fully approved landmark and DOB plans that were conceived and completed by renowned architect West Chin. 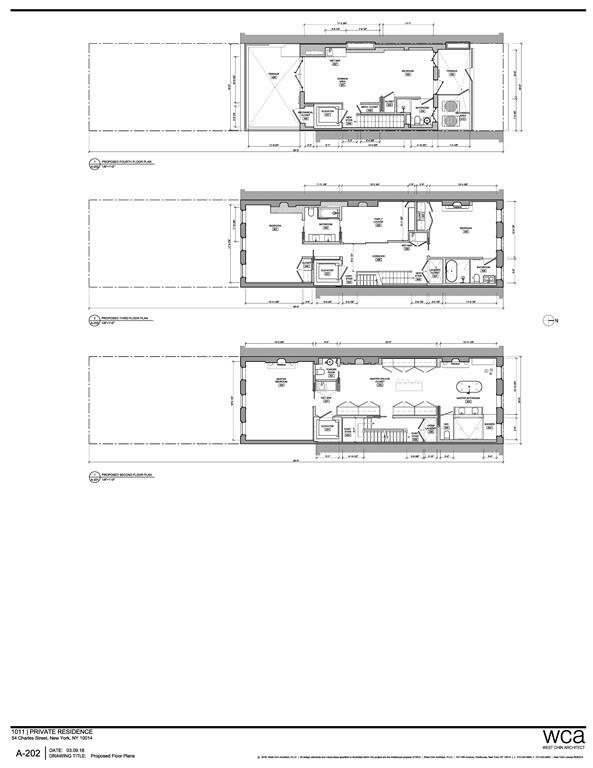 The house will be delivered with all plans, approvals and permits. 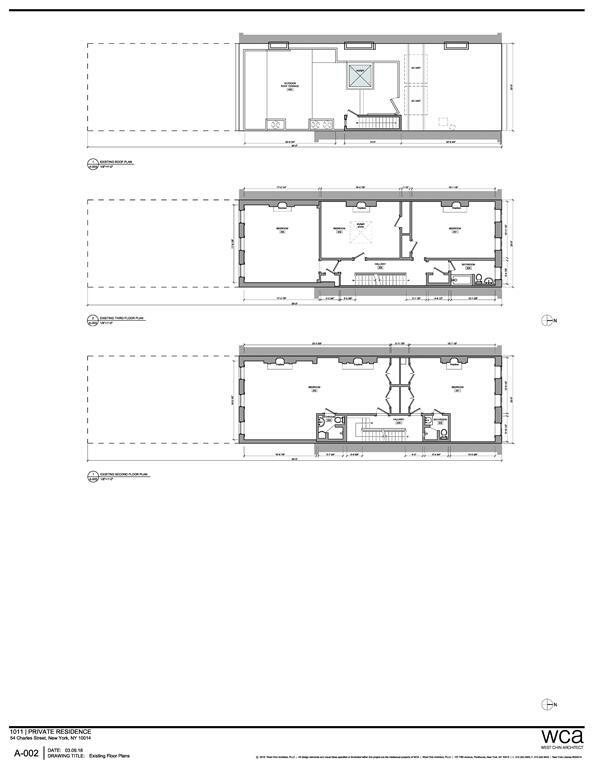 The approved plans allow the house to be expanded to approximately 7500 sq ft of interior space and will include 5-6 bedroom, 6 bull baths and 3 half baths. 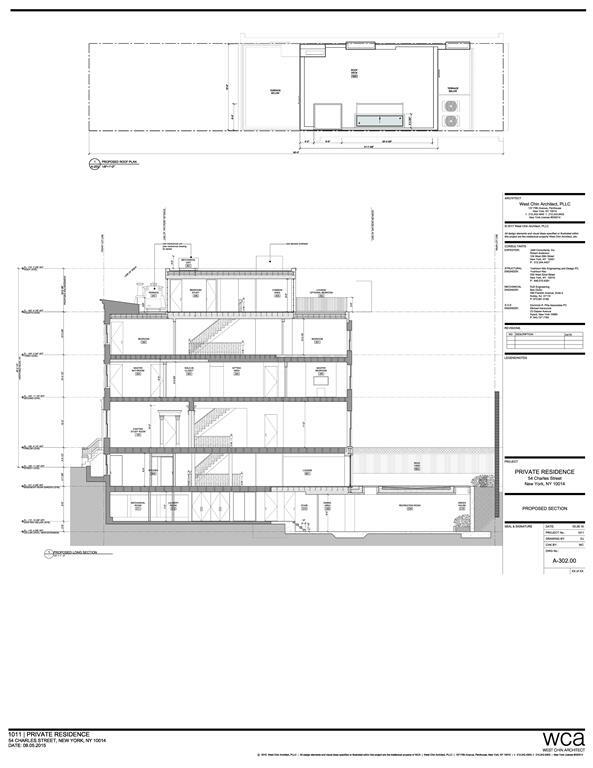 In addition to the vast open living spaces and penthouse addition, some of the new features include an extraordinary chef's kitchen, high speed elevator, Media room, Salon/gym/steam-sauna, full floor master suite, wine cellar, a new additional roof deck with gazebo and outdoor kitchen and the Empire State/Freedom Tower views will of course be preserved. 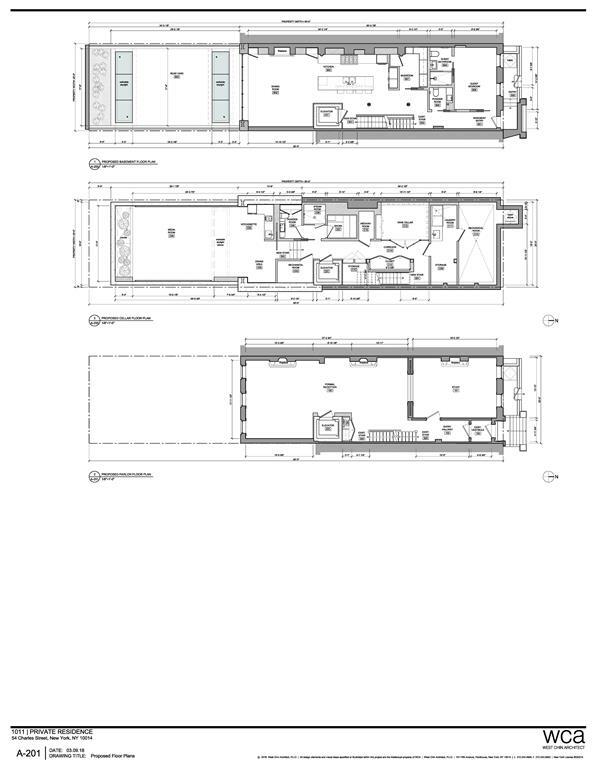 Also planned for inclusion is the finest A/V, HVAC, radiant heat and smart home systems. 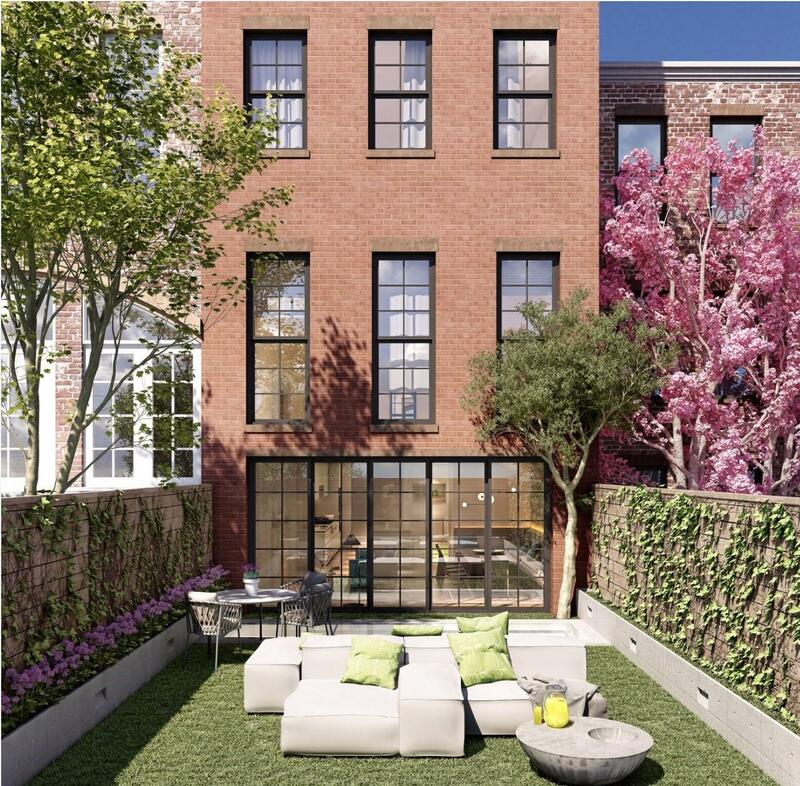 Ready to move into now or to transform with the "shovel ready" plans, 54 Charles is a must see townhouse. 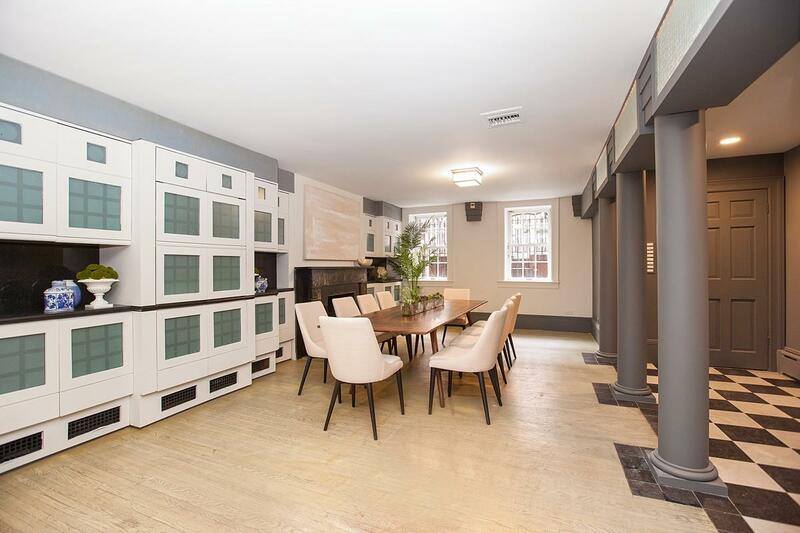 Pictures and floor plans of the existing house are included here as well as the floor plans and renderings of 54 Charles transformed.